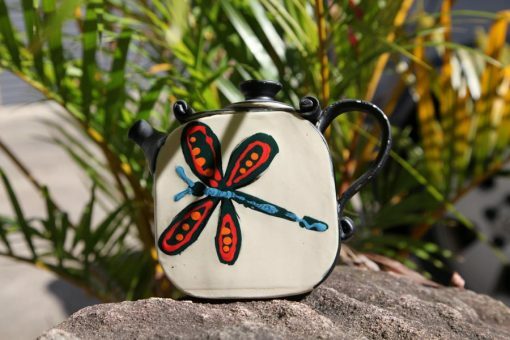 Hand built in white stoneware clay with coloured clay inlays to form dragonfly design. Glazed in matte black food safe glaze inside and out, with a clear glaze, also food safe, on the dragonfly design. Dragonflies are a symbol of the connection with the spiritual world and represent real life dragons. The design is very popular in the east where the potter draws much of her inspiration.